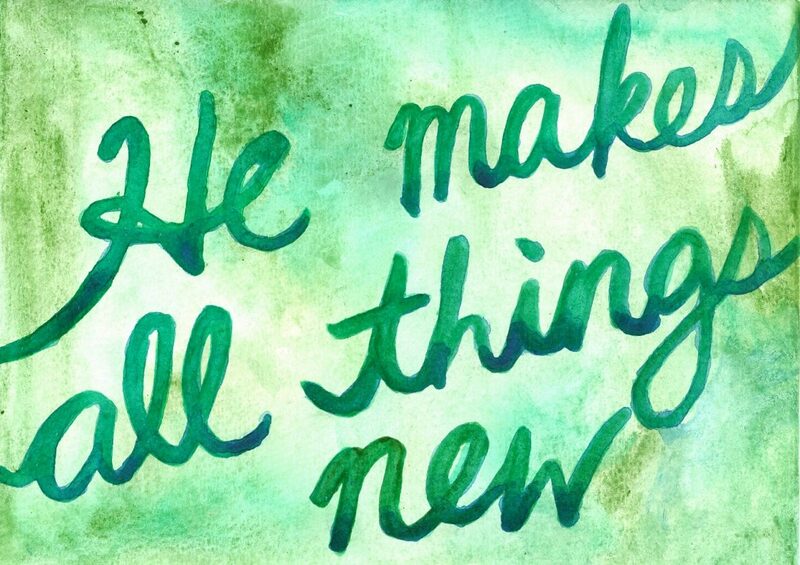 What was new is now old, says the LORD. I gave you the new. Now I have fresh new bread on the table of My presence for you to eat. The new of the new is now. Do not eat of the old manna, but come and eat of the new. For as you enter in, you will even smell the fresh aroma of the bread of My presence that I have prepared for you. Breathe deeply and enjoy it as your senses are awakened and you prepare to partake of what you have not yet tasted. For I will not just sustain you, but I will give you more than enough, says the LORD. Come taste and see that I Am good, for I Am LIFE to you. NEW LIFE. NEW strength. New vision. New joy. New is NOW for you. I have new fresh wine for you to drink. Your heart will rejoice and be glad as you drink it and become intoxicated. Let Me pour into you, says the LORD. Just open yourself up and receive. For that which was is not what will define you and your history is not going to be repeated again and again. I Am establishing you in the new and the mundane and boring same old ways of doing things will be replaced by the new as I bring you into a higher level with speed and astounding efficiency and productivity, says the LORD. YES YES YES LORD…. I BEEN FEELING THE SHIFTING… GLORY HALLELUJAH… THANK YOU JESUS!!!! He provides for us daily!!! We are not to store the old!! I am a prophetess!! He is returning SOON!!! Amen i believe God is providing a new way in my family am at a cross road!! i long to have fresh from the Lord. Just what I need to hear for such a time as this…. AMEN LORD. So be it. Thank you, Lord Jesus, for caring for me !!! I partake of the freshness of the Lord’s JESUS CHRIST table now, and I mean now by the power in HIS BLOOD. Oh Praise God! My heart’s desire !